If you read through the swarm of negative reviews, you might notice a common theme: boring, dull, lack of characters. It's incredibly disappointing that they seemed the miss the entire point of the film.This is not a film about heroic soldiers triumphing against all odds while blowing up Nazis with transformer-esque explosions. This is a movie about scenes, not characters. -and every scene is memorable, from the bombings to the torpedoes to the aerial dogfights. My co-worker, who is obsessed with WW2 planes, noted how incredibly perfect they got the British Supermarine Spitfire from the roar of the Rolls-Royce engine to the rattle of the components in the cabin. The accuracy and intensity of the dogfight was captured perfectly as well, mimicking the aerial maneuvers, firepower and damage in a realistic and dramatic fashion. The torpedoes noticed only moments before impact with it's slow monotonous movement sent chills of realization down my spine. 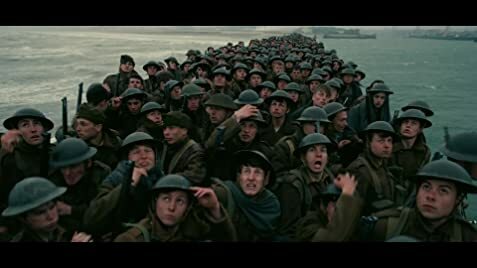 Even in the beginning of the film, the way in which the Nazi leaflets were presented gave you some glimpse into the panic and anxiety felt by those soldiers. I felt the "lack of characters" was realistic and served the film as well. War is not about larger-than-life personalities with specialized weapons being bad-asses. It's about nameless and faceless soldiers facing an existential crisis, the possibility of randomized death, and how they can either respond with despair or hope. If you want characters you can root for and a happy ending where the bad guy in vanquished, then there are plenty of movies for you. 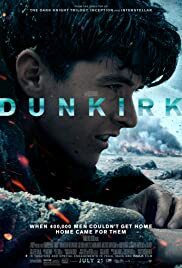 But if you want a small glimpse into the despair, anxiety, hope, courage, and will of the British WW2 fighters then there is no better film ever made than this one.